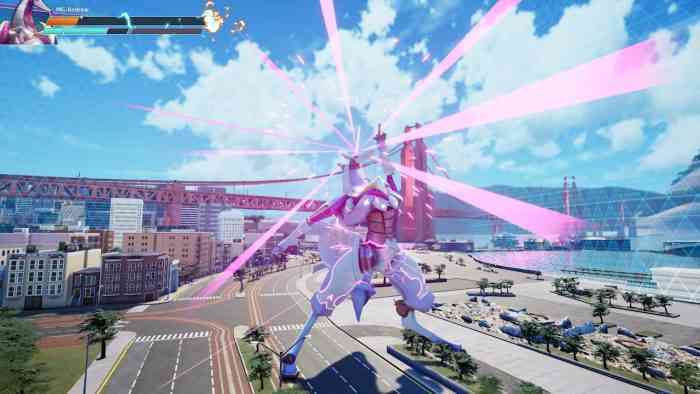 The bombastic party mech fighter, Override: Mech City Brawl, finally lands on PC, Xbox One, and PS4 today, announced Modus Games and The Balance Inc. It can be picked up for $29.99 USD for the Standard Edition or $39.99 USD for the Super Charged Mega Edition. 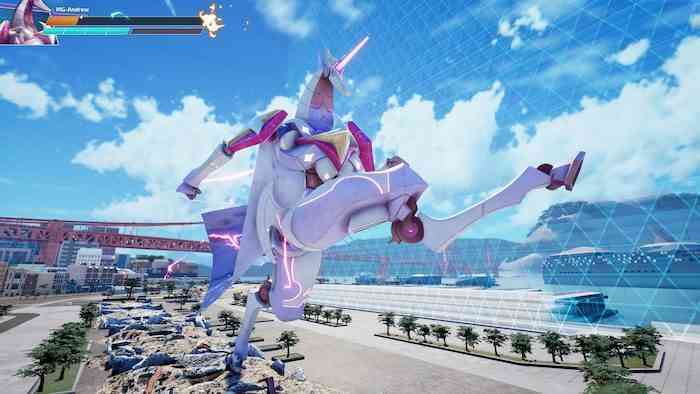 Also unveiled today was the game’s first post-launch DLC: Stardust, an all-new unicorn mech. Adding to the games’ 12 mech fighters, Stardust is described as having “a penchant for posing extravagantly and kicking up her hooves of steel.” She’s also skilled at aerial launches and blasting sassy shooting stars. Stardust will be available on December 14th for no charge for owners of the Super Charged Mega Editon or individually for $3.99. Going forward, all future mechs will be free for Super Charged owners. In case you haven’t been following the latest, Override: Mech City Brawl is jammed with modes and features including a single-player mode, local and online versus and co-op modes, plus a cool party mode that has everyone working together to pilot different parts of the same mech. You can view the Features trailer for more information. Explosive Battles. Take control of a gigantic mech and lay waste to entire cities as you fight other massive opponents. Supercharged Mechs. Pilot 12 outrageous mechs of epic, skyscraper-sized proportions, each with diverse fighting styles and unique skills. Real-World Locations. Destroy 3D arenas modeled after actual cities and countries, including Tokyo, Egypt, San Francisco, and Mexico. Multiple Game Modes. Challenge other players in local and online Versus & Co-Op modes and experience Override’s story in a single-player campaign. Party Co-Op. Gather 2 to 4 friends to engage in party co-op where each player is responsible for one part of a towering mech! The Garage. Customize your mechs in the Garage, changing their accessories and skins to create your own unique style. Override: Mech City Brawl is available now on PC and consoles. Hope you have a mech-tastic day! Are you looking forward to Override? Leave us a comment down below.